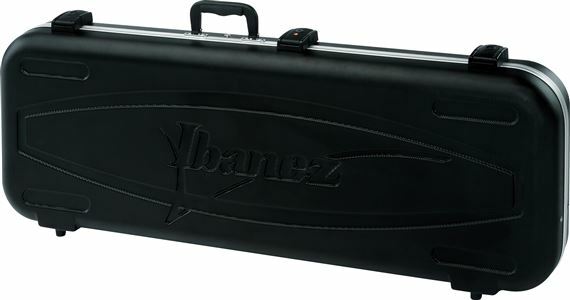 Order your Ibanez M300C Molded Electric Guitar Hard Case from AMS and enjoy 0% Interest Payment Plans, Free Shipping, Free Extended Warranty & 45 Day Money Back Guarantee. Designed with the utmost protection in mind, the M300C is the only choice for players who want to keep their guitar safe from the rigors of the road! Fits models RG6, RG7, RGA6, RGA7, RGD6, S6, S7, SA6. Does not fit left handed models. Very well made case and fit my RG like a glove. The blue inside material is a plus. Looks very nice. Would definitely recommend. Such a great case at a great price, I love it! Fits my Ibanez Jem perfect! 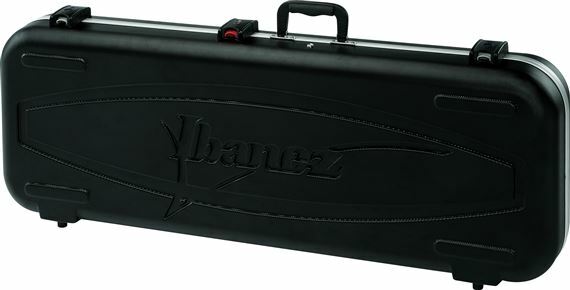 Very well-built, great pocket space for storage and fits my Ibanez JEM perfectly! Fits my 7 string Iron Label like a glove. Built sturdy. Inside is nice and soft with plenty of storage. I have an older case same style but the new one is really textured on the outside but the same Beautiful interior!!!! I love it and I feel its the best protection ever for my Ibanez Prestige!!!! Thank you American Musical and Ibanez!!!! You've spent the money making an investment of an Ibanez guitar or bass. 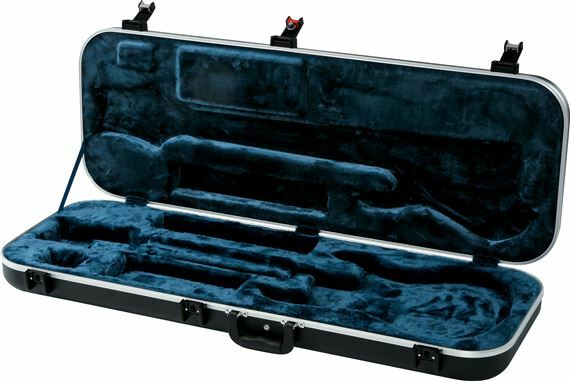 Why trust fate to keep it safe in that gig bag? These newly designed cases go even further to protect that investment. Still form fitted inside with deep plushl lining plus the newly designed outer shell. They can protect against high impact that always happen now and again. So protect that investment with a high quality case. Learn from my mistake, my Ibanez RG 1570 damaged in transit was enough for me to become a believer $1,400.00 destroyed for lack of an Ibanez Case. Its a knockoff. Probably China or Indonesian made. Its nice and will work, but not as good of a custom fit as the ones that come with the Japanese models. I bought this because disappointingly, the new RG550's dont come with a case like all the other Japanese models. Its a nice case, but not as well built as the cases that come with all the other Japanese models!